Breakfast is not something I indulge in often. I know it’s important to start my day off with some good nutrition but I just am not hungry in the morning. A cup of coffee is usually enough to keep me happy until lunchtime. I have found that waiting until noon doesn’t have any negative effects on me and I prefer to wait for a few hours to eat after waking up. 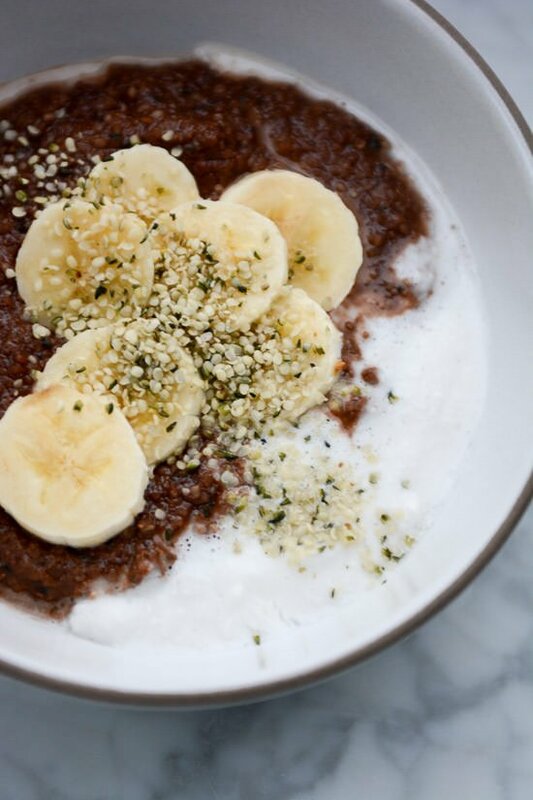 That was until I made this grain-free nutella porridge. Since I gave up grains I have been craving cereal and oatmeal, something warm, creamy and a little sweet. I do sometimes eat a late breakfast/early lunch on the weekends so decided to experiment with a grain-free version of my typical breakfast cereal. This was an utter surprise and I have been eating it for afternoon snacks and late night treats. It takes about 5 minutes on the stove, you can pop it into the microwave to reheat and it lends itself to tons of variations. 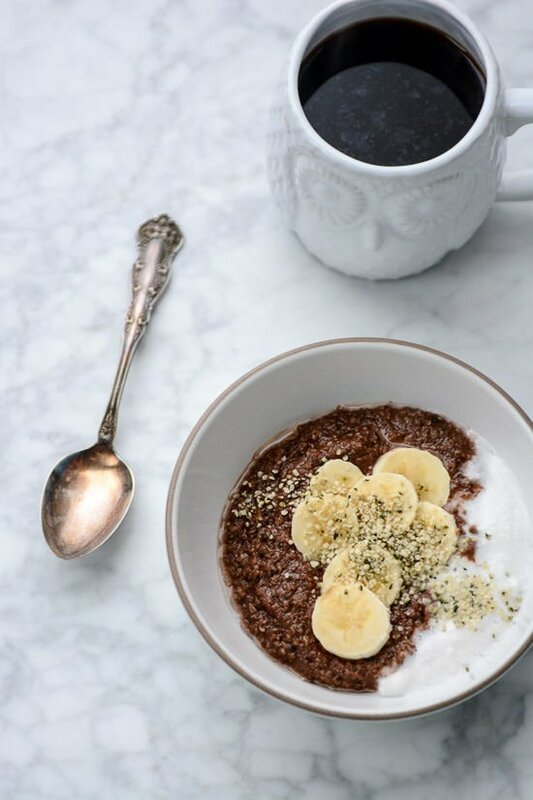 You warm up a little bit of almond milk, toss in a cup or so of ground hazelnut or almond meal, some hemp seeds for extra body and nutrition, cocoa powder and maple syrup. The hazelnut flour really reminds me of nutella especially if you top it off with extra chopped hazelnuts and cocoa nibs. Some days I just slice up a banana and add a few extra hemp seeds, I’ve also made a chai inspired version with turmeric, cinnamon and coconut milk that I’ll be sure to share with you soon. The porridge will thicken as it sits so feel free to add more or less liquid depending on the consistency you prefer. I like my porridge to have some bite but not be runny. 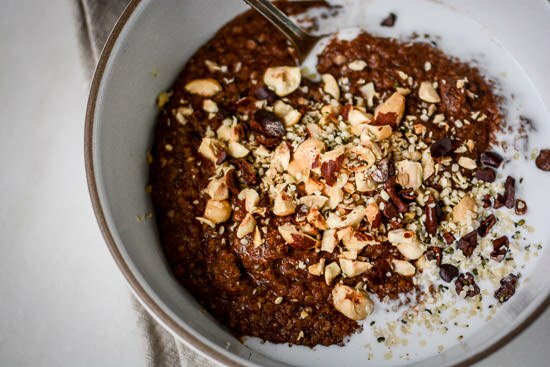 The porridge is packed with healthy fats, fiber and protein and it’s sweet enough to enjoy as a breakfast or dessert. Bob’s Red Mill makes a great hazelnut meal or you can make your own by blitzing 2 cups of roasted whole hazelnuts in your food processor. Just make sure not to process the hazelnuts too long or you’ll end up with hazelnut butter! 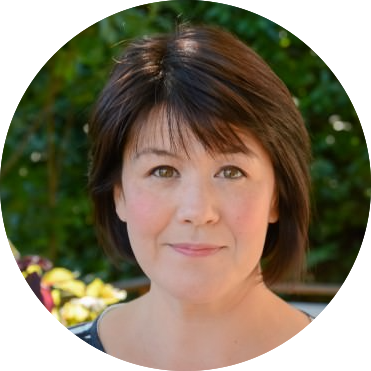 I hope you like the recipe if you give it a try! I’d love to hear what you think, post a comment, or post a pic and tag it #scalingback on Instagram! 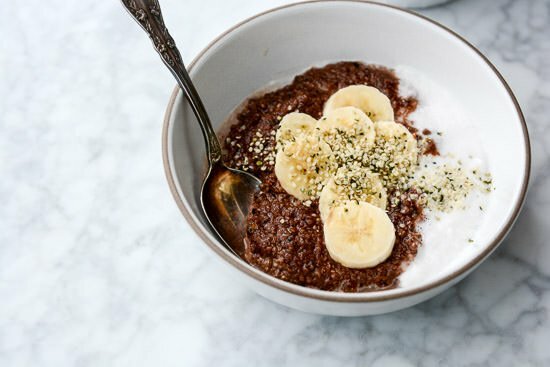 This grain-free nutella porridge is grain-free, gluten-free, vegan, and paleo friendly. It only takes minutes to cook and is perfect for those cold winter mornings! Combine the almond milk and cocoa powder in a small saucepan and whisk well to combine. 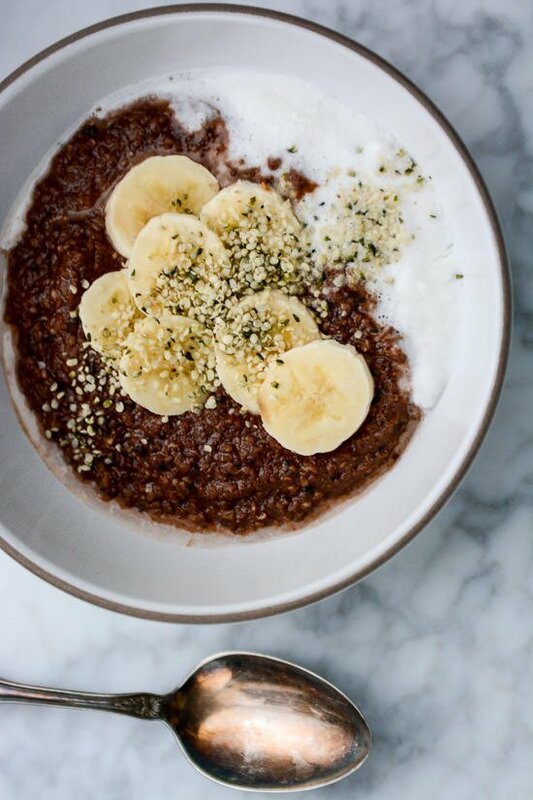 Add the hazelnut meal, hemp hearts, maple syrup, vanilla and salt and cook over medium heat until the porridge is bubbly and slightly thickened about 5 minutes. 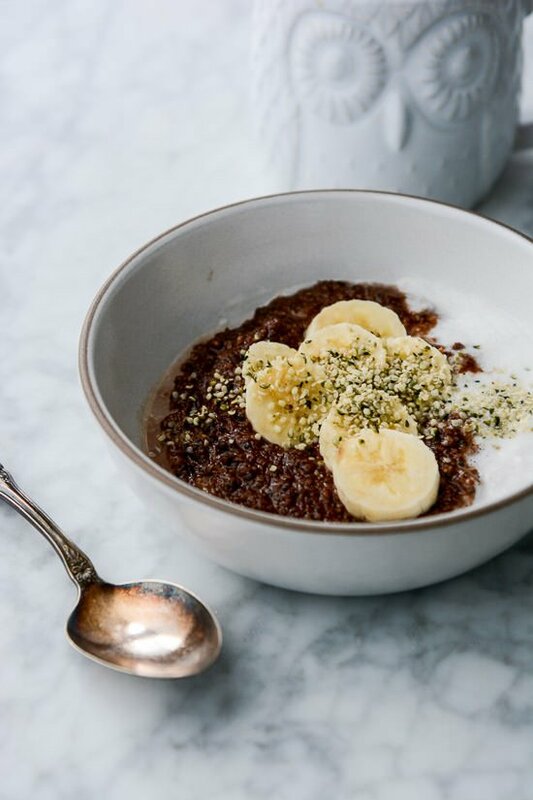 To serve, top with additional hemp seeds, cocoa nibs and hazelnuts.